The 3rd Mirchi Music Awards, presented by Radio Mirchi, honored the best of Hindi music from the year 2010. The ceremony was held on 27 January 2011  at the Bandra Kurla Complex, Mumbai, and was hosted by Shaan and Sonu Nigam. The program featured many performances, including those by Bappi Lahiri, Usha Uthup, DJ Lloyd, Akshay Kumar, Anushka Sharma, Rishi Kapoor and Priyanka Chopra. Several award categories were introduced for the first time, including Best Indipop Song, Best Item Number, Best Raag Inspired Song, Best song in Sufi Tradition, and Best Album of Golden Era. Dabangg won a leading eight awards including Album of the Year and Song of the Year for "Munni Badnaam". Bandra-Kurla Complex is a planned business district in Bandra, India. It is the most prominent commercial hub in Maharashtra after Mumbai's Nariman Point and Cuffe Parade. According to MMRDA, the complex is the first of a series of "growth centres" created to "arrest further concentration" of offices and commercial activities in South Mumbai. It has aided to decongest the CBD in South Mumbai while seeding new areas of planned commercial real estate in the metropolitan region. Keerthi Sagathia is a musician and singer. Keerthi is the son of famous Gujarati folk singer Karsan Sagathiya. In 2005 he was a contestant for Sony TV reality show Fame Gurukul. He was a celebrity guest singer on X Factor, Episode 29, first aired on 20 August 2011. The 11th Mirchi Music Awards, presented by the Radio Mirchi, honoured the best music professionals of Hindi language Indian films of 2018. The ceremony was held at the Dome at the National Sports Club of India, Mumbai on 16 February 2019 and was hosted by Sonu Nigam. There were many performances, including those by Badshah, Neha Kakkar, Meet Bros, Jonita Gandhi, Arko, Papon and Shivam Pathak. Ashmik Patil, the winner of the Smule Mirchi Cover Star, performed at the event. A new award category, Recreated Song of the Year, was introduced for the first time to recognize the many ‘re-creations’ released in 2018. Padmaavat won a leading number of awards including Album of the Year and Song of the Year for "Ghoomar". 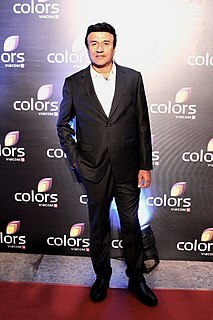 The show had been broadcast on 17 March 2019 on Zee TV. The 2nd Mirchi Music Awards, presented by the Radio Mirchi, honoured the best of Hindi music from the year 2009. The ceremony was held on 10 February 2010 at the Bandra Kurla Complex, Mumbai. There were many performances, including those by KK, Sunidhi Chauhan, Rekha Bhardwaj, Himesh Reshammiya, Usha Uthup, Shahid Kapoor and Katrina Kaif. A non-film category award was included for the first time. Delhi-6 won a leading eight awards including Album of the Year and Song of the Year for "Masakali". The show was broadcast on 21 February 2010 on Sony TV. ↑ "Mirchi Music Award 2010". www.radiomirchi.com. Retrieved 2018-09-30. 1 2 "Dabangg sweeps Mirchi Awards - Times of India". The Times of India. Retrieved 2018-09-30. ↑ "Munni and Dabangg rule Uninor Mirchi Music Awards 2010; Lifetime Achievement for Ravi" . Retrieved 2018-09-30. ↑ "Lifetime awardees Yesudas, MSV say they're still learners - Times of India". The Times of India. Retrieved 2018-11-22. ↑ "Jodhaa Akbar sweeps Mirchi Music Awards - Times of India". The Times of India. Retrieved 2018-11-22. 1 2 "Mirchi Music Award 2011 Jury Profile". www.radiomirchi.com. Retrieved 2018-09-30. ↑ "Mirchi Music Awards 2010 Winners - Times of India". The Times of India. Retrieved 2018-09-30. ↑ "Dabangg rules at Mirchi Music Awards". Jagran Post. Retrieved 2018-09-30. ↑ "Dabangg outshines all at Mirchi Music Awards". www.allpakistaninews.com. Retrieved 2018-09-30. 1 2 "Nominees - Mirchi Music Award Hindi 2010". 2011-01-30. Retrieved 2018-09-30. 1 2 "Winners - Mirchi Music Award Hindi 2010".